Hunmanby United were forced to dig deep for a 5-3 extra-time win in their League Cup game at home to Goalsports. Ollie Milner opened the scoring for United early on against a Goalsports team let down by three players, and the away side had only 10 men at kick-off, their 11th man arriving on five minutes, shortly after Milner's goal. United added another goal through Cam Dobson before half-time and the game was firmly in their hands, but after the interval a cross-shot from left-back Tom Hudson sailed past Jon Hyde in the home goal to halve the deficit and then John Grayston smashed home from 20 yards to take the game into extra-time. Leigh Franks had the ideal chance to give United the lead two minutes into extra-time, but his penalty was saved by Joe Leslie, who pulled off some fine stops. Hunmanby began to take control in extra-time and pulled clear to lead 5-2 through an Eric Hall brace, with a stunning 35-yard lob from Robbie Harrison sandwiched inbetween, Tyson Stubbings adding a third on 110 minutes for Goalsports with a wind-assisted free-kick from 45 yards and Brad Parkin also hit the post late on for Mark Plumpton's side. Plumpton awarded the man of the match to all 11 of his players, battling their way through 120 minutes without any subs available. Chris Duley was man of the match for United. 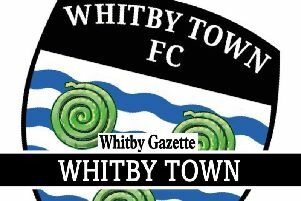 Filey Town suffered a 3-2 home loss against Riccall United in the ERCFA Senior Country Cup. United led 3-0 after dominating the first half, using the strong wind at their backs fully. After what boss Jordan Philliskirk described as an awful first half, Town came to life after the interval and pulled a goal back from the spot through Tom Micklethwaite from the spot after a foul on Ricky Tomlinson. They then gave themselves hope with a second goal from Liam Sugden, a superb left-footed volley, but they missed a string of chances in the second half and paid the price as they bowed out of the cup. Edgehill maintained their stunning start to the season in the Lloyd Dowson Saturday League first division with a magnificent 7-1 win at Flamborough. The hosts went 1-0 up after 20 mins after a mix-up between the Edgehill defence and keeper. Luke Jones missed a penalty after 30 minutes, putting his effort high over the bar but Jones made up for this when he equalised with a neat finish a minute before the break after a slick move. Aaron Jenking marked his first game for Edgehill in three years with a goal on the stroke of half-time to put the visitors in front for the first time. Three quick goals in the opening 10 minutes of the second half killed them off . Man of the match Jamie Patterson netted in the 48th minute, then a quick double by the visitors' only sub Martyn Ferrey, who came on after 10 minutes, scoring in the 52nd and 53rd minutes. Luke Jones then bagged his second after 65 minutes after a good passing move. The hosts then had a man sent off on 70 minutes, Edgehill adding a seventh on 85 minutes through Patterson again. Edgehill boss Steven Clegg said: "Flamborough worked very hard in the first half but in the second half it was a very dominant performance by us "
Ayton Reserves opened their league account for the season with a 2-1 home win against Scalby Reserves in the Reserve League. After a goalless first half, debutant Simon Coupland put Ayton front with a neat finish in the second half. With 10 minutes remaining, player-boss Steven Frederiksen pulled off a fine save to deny Scalby a goal, the ball was cleared out by a home defender and Scalby man of the match Paul Nuttall smashed in a stunning first-time volley to bring the scores level. Coupland then turned provider, setting up strike-partner Chris Milburn to fire home Ayton's second goal, and Nicko Dunn could - and should - have made it 3-1 in the dying moments but missed the target. Frederiksen said: "We all played very well, with Nathan Sutherland, Jamie Millar and Shaun Dolan among the top performers, but the man of the match should really be shared between all the lads." Edgehill 3rds battled back from a goal down to claim a 5-2 win at Filey Town Reserves, the visitors playing 80 minutes with only 10 men. An Edgehill player was forced to go off due to illness after 10 minutes, and without any subs the visitors had to battle on with only 10. Billy Coyne put the hosts ahead early on, Shaun Dodson levelled for Edgehill and then a Martin Jenkinson header pushed the away side in front before half-time. Ben David put Edgehill 3-1 ahead with the goal of the game, a thumping shot that flew past the keeper, then a second header from man of the match Jenkinson, who pulled the strings in midfield, sealed the win for the away side. Coyne scored his second to give a below-par Town hope but Dodson netted again to complete the scoring. Leaders Edgehill Reserves had to dig deep to earn a 1-1 draw at West Pier Reserves. Rich Tolliday put Pier in front on the half-hour mark, but a Benny Davis free-kick earned Edgehill a share of the spoils after the interval. Striker Mikey Anderson was named man of the match for Pier, Mike Hernandez the Edgehill man of the match.